I encourage my clients to try a vegetable three ways before ousting it from their lives. Steamed, raw or roasted, vegetables take on different flavors, textures and aromas. Something you had as a kid may be filed in your memory under a big “DO NOT TOUCH” sign, so you assume you and that vegetable just don’t get along. However, tried a different way, in another phase of life, you may start to fall in love – or at least develop some respect for it. Originally from the Mediterranean region, Brussels sprouts were cultivated near Brussels, Belgium in the 13th century, hence the name. Take the humble Brussels sprout. It falls in the love/hate category of vegetables alongside cilantro (which some people say tastes like soap), parsnips (which have been accused of tasting like mud), and turnips (which are just odd-tasting). But this mini cabbage evokes strong feeling of disgust for many people who have been subjected to its sulfurous odor released when boiled or overcooked to a mushy pale army green color – not to mention the sulfurous effects after it enters the GI tract, producing a gas toxic enough to clear a room! 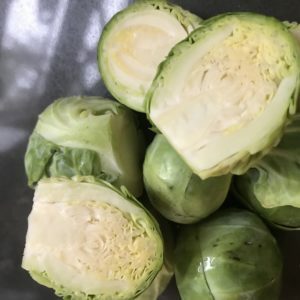 In fact, of all the vegetables out there, the Brussels sprout, a member of the Brassica family, is probably the ugly duckling in terms of beauty and likeability. Despite its popularity spanning centuries, it has developed a bad reputation from being mistreated and erroneously prepared. I do believe it is highly underappreciated and just needs a little help to reach its potential. It needs to be respected and treated right, so it can do right by you. Brussels sprouts contain phytonutrients that defend against cancer and encourage detoxification. Plus, they are loaded with Vitamin C and fiber. With all that wrapped in a cute little ball, I think they are worth another shot, don’t you? How about some bacon sautéed with those beautiful Brussels until they are just tender and bright green? Or a squeeze of fresh lemon juice and a sprinkle of sea salt over Brussels sprouts roasted with olive oil? NOW WE ARE TALKING. Now we can see the beauty in the beast. When a vegetable is treated with respect, it comes to life. Just because we have always had a certain belief doesn’t mean it remains true. Boiling a vegetable brings out putrid flavors and drains the color – leaving a malodorous ugly, bitter side dish. Roasting caramelizes the sugars within, adding delicate sweetness that excites the taste buds. What determines if a vegetable is loved or not is belief and beauty. We can create beauty. We can shift our beliefs. We just have to have an open mind. 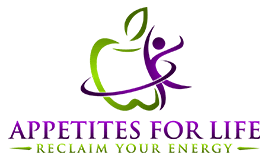 When shifting your diet, you have to set aside old beliefs about certain foods and be brave to try something new or something in a different way. In life, that is how we succeed and progress. In health, we must work to overcome limitations and see our potential – which is endless! Choose to see beauty in all. Try something new. 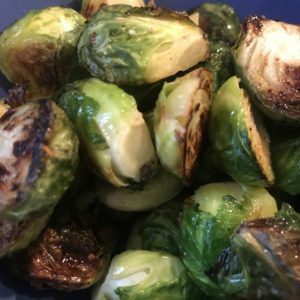 And while you are at it – give the Brussels sprout a second chance! Wash Brussels sprouts and cut off bottoms. Remove the outer layer of leaves. Cut in half and put in a bowl with a little bit of lemon juice. Remove from pan and retain some of the fat, drain the rest (if you use turkey bacon or tempeh, you will not have to drain any fat, and you may have to add a bit). Set aside on a plate lined with paper towels. Add sliced onion and sauté for about 5-7 minutes until soft and starting to caramelize. Add in Brussels sprouts and sauté for a few minutes, and then add in broth and cover. Turn heat to medium. Let cook for 10 minutes, then check. Sprouts should be fork tender. Add in bacon towards the end and let the flavors blend together. Season with salt and pepper, and a sprinkle of red pepper flakes if desired. Finish with a little freshly squeezed lemon juice or add in some dried cranberries for a sweet fall touch.